With Christmas long gone and Valentine's Day blissfully behind us, it is time for another holiday to flood us with merchandise and discount sales. And as each and every holiday before that, we know that women will rule all of the shopping sites, leaving behind a trail of receipts. Let's be honest, women are the best target group when it comes to holiday shopping. However, Easter's shopping rates seem pale in comparison with the other holidays. This why you need to work extra hard and optimize your website, so your sales won't plummet. 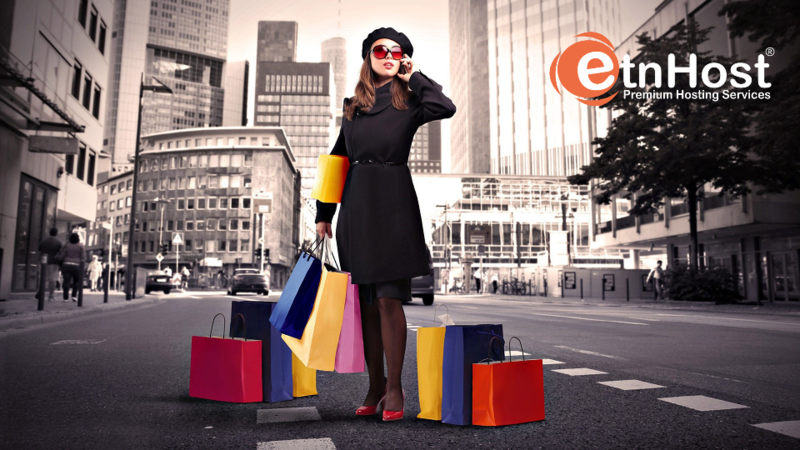 So in the spirit of Easter, ETNHost gives you 5 Tips and Tricks For A Successful Easter Sale. Read on to learn them. What shoppers seek for, during every holiday, is an irresistible offer. The words discount and sale have supernatural powers over the holidays, and every merchant knows it. With Easter just around the corner, all kinds of holiday decorations are bound to pop up, from ceramic bunnies to chocolate ones, from painted plastic eggs in baskets to little plastic fuzzy yellow chickens. All of these things look adorable and are a sure sale. But if you are not offering those types of merchandise on your website, then you have to be creative and find a way to make the customer want to buy from you. Think out of the box, try to be unique and interesting in your own way. Have a special Easter promotion, with a limited time sale. Sales attract more visitors to your site, and more visitors mean more sales. Set the mood all Easter-y. Show your visitors that, there is a reason for this sale and it is Easter. Decorate your site with some bunnies and painted eggs, maybe change the background. If your site is built on WordPress, then you are in luck because there is a plugin, that will let you engage your visitors and costumers in an egg hunt. The plugin allows you to hide icons in your website. People can collect the icons (you can place pictures of eggs if you want, instead of icons), and if they gather them all, you can set a prize. You can decide what that price may be. A good idea is a discount promo code. The prize would be the incentive, but it is the game what makes it interesting. This way they will spend more time on your website, and the chances of them buying something are bigger. PrestaShop also has a Hidden Objects Game which allows shoppers to take part in scavenger hunts. Send an email newsletter to your existing clients, informing them that you have an exciting sale in the spirit of Easter, with discounts that are a real bargain. Sending an email is always a sure and direct way to speak to your existing customers. Increase your visibility in the Search Engine Result pages through paid advertising. If you are on a tight budget, this may not be the best solution for you, but if you have the resources, then Google Adwords is a perfect solution. This way you will achieve a higher ranking, and will be seen by more Internet users. Promote in the social medias. Each and every social network is your friend. By posting regularly about your offers, sales and promotions you keep your customers in the loop of what is going on on your website. This is a perfect way as well to win new visitors. You can engage people to share and like your Facebook posts, to re-tweet your tweets in Twitter and so on, which by itself is a really strong marketing strategy. Before launching your sale, make sure everything is working properly. You really don't want to feel the wrath of your customers, when their orders don't come through, or some other problem emerges. It will be frustrating for them, it will be unnerving for you, and it will easily become an unpleasant experience, that could have been avoided. Don't charge people for shipping for your Easter sale, or for any type sale that you plan to have in the future. Free and Shipping are the two magic words that seal the deal with customers, and they go hand in hand with Sale and Discount. We hope our tips come in handy, and you have an amazing Easter sale. 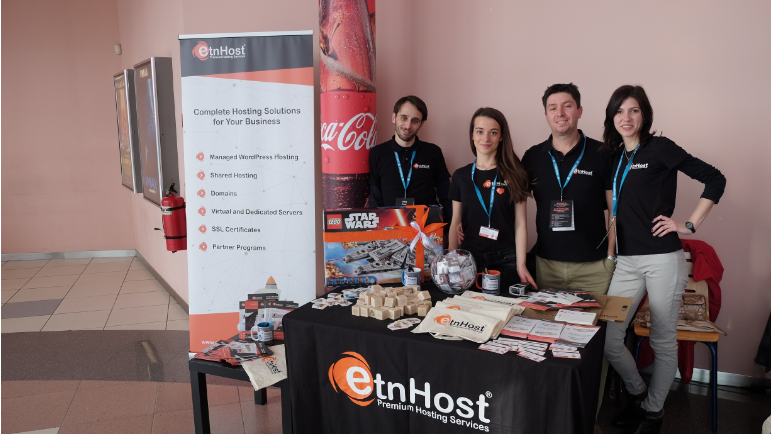 The team of ETNHost would like to wish you a successful scavenger hunt, hide your eggs well people, and don't leave your chocolate bunnies out in the sun! Have a Happy Easter!